Will he do anything about the Drug War? One issue largely missing in action during the presidential campaign has been the Drug War, and all the policy implications for addiction treatment that go with it. Our thanks go out to OnTheIssues blog for compiling the admittedly skimpy record of public statements about drug policy by both candidates. 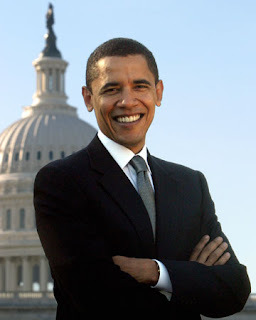 In this post, we examine the on-the-record views of Democratic candidate Barack Obama. The official Obama plan, as outlined in his campaign booklet, Blueprint for Change, calls for greater use of drug courts, job training for ex-offenders, and the elimination of sentencing disparities like the crack/powdered cocaine inequities. He does not favor lowering the current drinking age from 21 to 18, despite a collective push to do so by dozens of university presidents. It appears that Senator Obama is at least partially receptive to the goal of changing national drug policy “to make the war on drugs a public health battle rather than a criminal justice war,” as Schmoke wrote.